Years 2011 and 2012 have been the breakthrough years for open knowledge in Finland. Open data has been widely visible in the public discussion and significant steps have been taken to open up and use data. The success of the OKFestival 2012 in Helsinki has been one apparent sign of this new state of mind in Finland and the Finnish open knowledge community has already organised into the Open Knowledge Foundation Network’s local group. The next step, or perhaps a giant leap, of the Finnish open knowledge scene will be taken on 8-9 February 2013 when Open Knowledge Finland Convention will be organised in Tuusula. This event will bring together a hundred movers and shakers from Finland and abroad to hack, debate, brainstorm and do the future of open knowledge. The event has three main goals: to bring concrete benefits for all participants and their open knowledge projects, to build the Finnish Open Knowledge community stronger and kick-start officially the OKF Finland as a juridical organization. 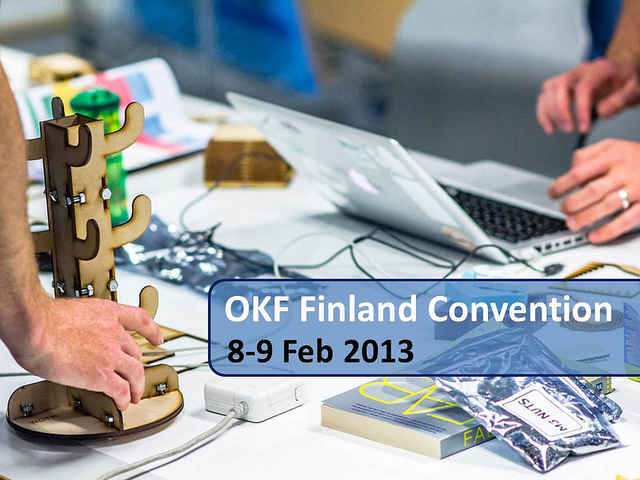 Please see the Open Knowledge Finland Convention webpages for more information on the event and the Call for Proposals.